With a motion picture coming out soon (and starring Jack Black, to boot! ), I wanted to pick up this juvenile mystery before seeing it on the big screen. Keeping in mind that this is a children’s book, I am giving it three looks. For a 10-12 year old, this would be quite a scary story! The story mixes fun with Uncle Jonathan, seriousness with Miss Zimmerman (when she is not exchanging hilariously funny names with Jonathan), angst with Lewis trying to fit in at a new school, and scary with wizards, witches, and a long-dead sorceress. Very quick and easy to read, the book did what I wanted it to do: give me a foundation for comparison when I see the movie. However, there were some questions that I continued to have at the end, like exactly WHAT is happening to Jonathan and Miss Zimmerman when the clocks are striking, what is the significance of the color purple for Miss Zimmerman, and exactly what is the nature of the relationship between the wizard and witch who are now raising Lewis. 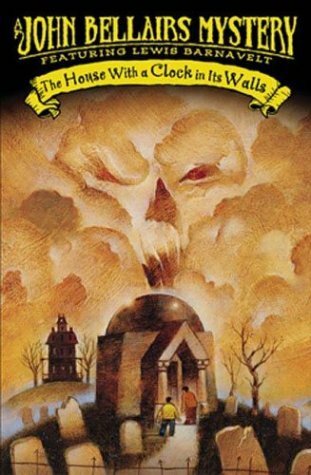 There are 12 titles in the Lewis Barnavelt series, so at least some of these questions may very well be answered in future spooky tales. Recommended, especially before the movie!